Ecclesall Kids Club expects all our staff and volunteers to follow our Staff Behaviour and Conduct Policy, which provides guidance on the standards of behaviour required from our staff and volunteers. The guidance aims to encourage staff and volunteers to meet the highest possible standards of conduct. Club staff and volunteers (eg the Committee) are in a position of trust and influence as role models for the children in their care and we ask them to demonstrate behaviour that sets a good example to all users of the setting. Club staff and volunteers also have a responsibility to maintain their reputation and the reputation of the Club, both during and outside of working hours. Our staff team are ambassadors for Ecclesall Kids Club and we ask them to conduct themselves professionally at all times. Staff wear Lanyards with their names on to help our users to get to know them. Staff should treat each other and anyone attending the Club (children, parents/carers and visitors) courteously and with respect. Our staff will acknowledge or greet parents and carers when they arrive to pick up or drop off their children. We expect staff to value all the children, to get to know them as individuals and to comply with the Club’s Equalities policy at all times. We expect our staff to build relationships with parents and carers to support two way communication about the children in their care, though we recognise there may be limited opportunities for them to do this, due to time for that interaction to take place in a pick up or drop off scenario. We request that parents and carers offer our staff the same courtesy as good relationships can only benefit the children in our care. We value our staff and pride ourselves on our ability to retain them as continuity in our type of setting is key. We have created a Parent/Carer Behaviour Policy to mirror this policy as we have had a few occasions where staff have been abused and shouted at and we will not tolerate this type of behaviour. We are always happy to receive feedback when we’ve got it right and we are also happy to receive feedback regarding where we can improve. Swearing and abusive behaviour will not be tolerated from anyone at the Club. If any member of staff or volunteer exhibits this behaviour they will be subject to the Club’s Disciplinary Procedures. Any breaches of expected behaviours will be investigated and resolved in line with our Staff Disciplinary policy. If our staff are subjected to inappropriate or abusive behaviour, including verbal abuse from parents or carers, they will be expected to report this to the Club Manager and in some instances this may be escalated to the Management Committee. Any breaches will be dealt with in line with our Parent/Carer Behaviour Policy. Whilst working at Ecclesall Kids Club staff will need to help to set up and pack away the setting, prepare food, facilitate craft activities and engage in physical activities with the children. The clothing and footwear worn should be chosen accordingly, taking into account comfort, health and safety, and practicality. Revealing clothing will not be worn. 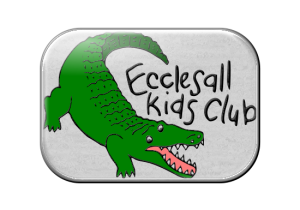 Whilst on duty all our staff and volunteers will wear the Ecclesall Kids Club Lanyard with their name on it at all times to enable themselves to be identified to parents and carers and for security/safeguarding reasons. Staff and volunteers must not pass on any information about children attending the Club, or their parents and families, to third parties without their permission. The only exception to this rule is information sharing with specific external agencies if there is a safeguarding issue. (‘Third parties’ includes other parents, friends, other children at the Club, the press, etc.) See Confidentiality Policy. Posting any material relating to the Club or its users on social media sites is forbidden. Any breach of conduct will be dealt with in line with our Staff Disciplinary Policy and Social Media Policy. Staff personal mobile phones must be kept locked away during working hours and may only be used by exception and in accord with our Mobile Phone policy. Club laptops must only be used by the Manager, Coordinators and Deputies outside club operating hours, the use of Laptops is strictly prohibited when children are present and laptops must be locked securely away during club operating hours. Only by exception may laptops be used in club time and this must be away from the children (e.g. in the School Office). Staff must not use their personal mobile phones or cameras to take photographs at the Club during working hours, nor should they allow parents, carers or other children to do so. Under certain circumstances and with parental permission photographs may be taken with the club camera for internal club use only. Any breach may be considered Misconduct and will be dealt with in line with our Staff Disciplinary Policy. The Mobile Phone policy and Laptop Policy contain further details. Staff are not permitted to smoke anywhere on the Club premises, including the outside play areas. Staff are not permitted to bring alcohol or illegal drugs onto the Club premises. If a member of staff arrives at work under the influence of alcohol or drugs they will be asked to leave immediately and disciplinary action may be taken. If a member of staff is taking prescription drugs which might affect their ability to function effectively, they must discuss this with the Coordinator or the Club Manager immediately and agree a safe and lockable place for storage of any prescription medicines. For episodes of Minor Misconduct we will always follow the Disciplinary Process and Procedures. For episodes of Gross Misconduct the Club will always follow the Disciplinary Policy and Procedures. The degree of severity of the incident and the number of times it has happened determine whether the breach in standards of performance, behaviour or conduct is classed as Minor Misconduct or Gross Misconduct. One off breaches of the Safeguarding Policy and procedure, such as not locking a door to the outside or inside areas, leaving gates unsecured when children are outside. Allowing children to play around the exits or the locks increasing the chances of escape. Minor breaches in any of the clubs policies, failing to check the First Aid box, failing to carry out health and safety forms or file drills by timetable. Minor breaches the Club standards of our Behaviour Management Policy in the way we deal with challenging behaviour in our children. Failure to undertake development or training identified at supervision by the deadline set. Persistently failing to meet deadlines set by the Committee, Coordinator or Club Manager. Failure over time to perform work to satisfactory standards or carry out the duties described in the employment contract or job description. Being verbally abusive or deliberately undermining work colleagues, children or parents. Any breaches of Statutory duty with regard to Early Years, Safeguarding, Health and Safety or Equality and Diversity. Repeated breaches of the Safeguarding Policy and procedure, such as not a locking door to the outside areas, leaving gates unsecured when children are outside, incorrect registration of children. Repeatedly failing to keep accurate and incident, or concern reports and other administrative reports, e.g health and safety, pay sheets and risk assessments, supervision, appraisal. Both to the standards required and by the deadlines required. Failure to comply with or undertake Mandatory or Statutory driven training and development by the deadlines agreed e.g. Safeguarding or First Aid training. Serious breaches of the Club standards set out in our Behaviour Management Policy in the way we deal with challenging behaviour in our children. Failure to comply with the Club’s Equalities policy eg not taking account of known medical conditions or reasonable adjustments we have been notified about in the way we support all our children and in particular our SEN children. Repeated complaints or negative feedback from parents and colleagues with regard to the standards set out in the staff Behaviour and Conduct Policy. Ignoring a direct instruction given by the Manager, Coordinator or their Deputy. Being disqualified under the terms of the Statutory Framework for the Early Years Foundation Stage (Section 75 of the Childcare Act 2006) or the Children’s Act 1989. The Manager and/ or Management Committee will investigate any alleged incidents thoroughly and any decisions on disciplinary penalties or dismissal would be made in line with our Staff Disciplinary Policy and Procedures.